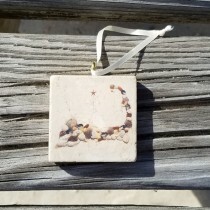 Love these tiny (2" sq.) 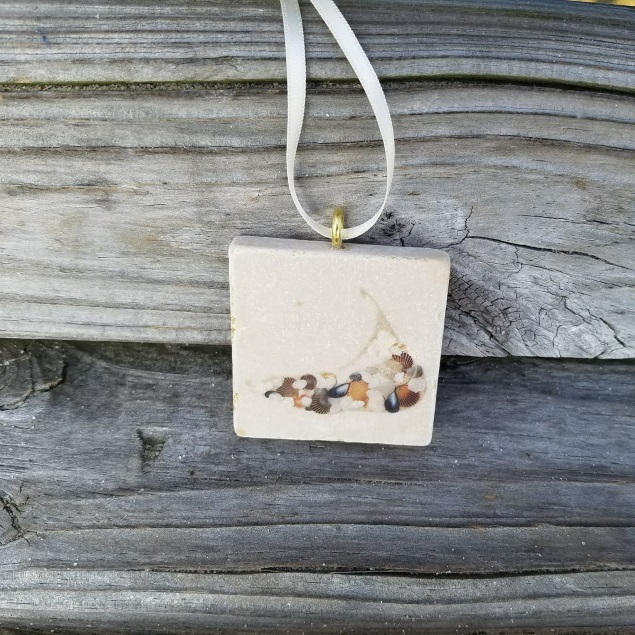 tumbled marble ornaments. 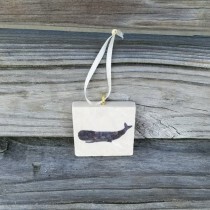 Use as a gift tag, over the neck of a bottle or just hang in a special place! 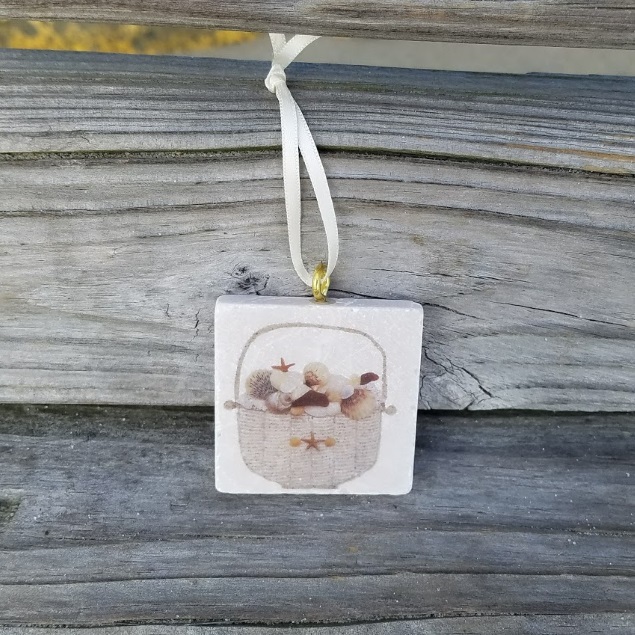 This a new design for 2017 – my whimsical basket filled with gathered treasures! 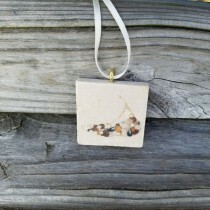 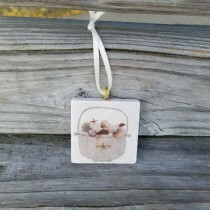 A very tiny 2″ square tumbled marble ornament to hang anywhere you wish! 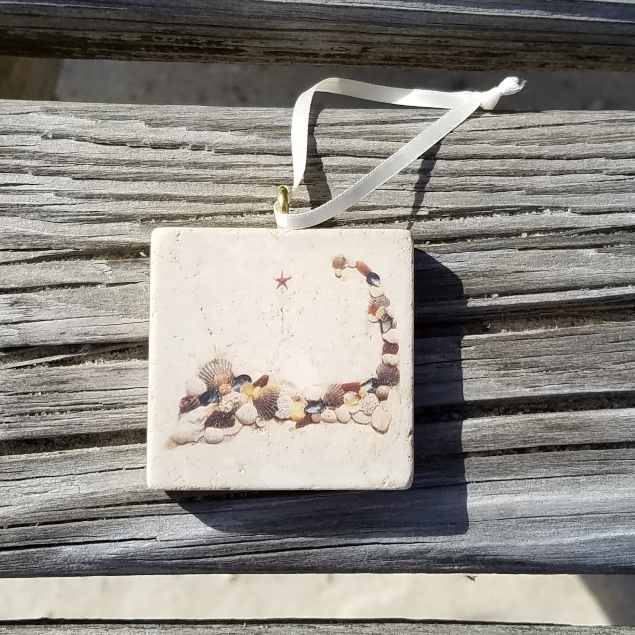 A little image of my favorite island! 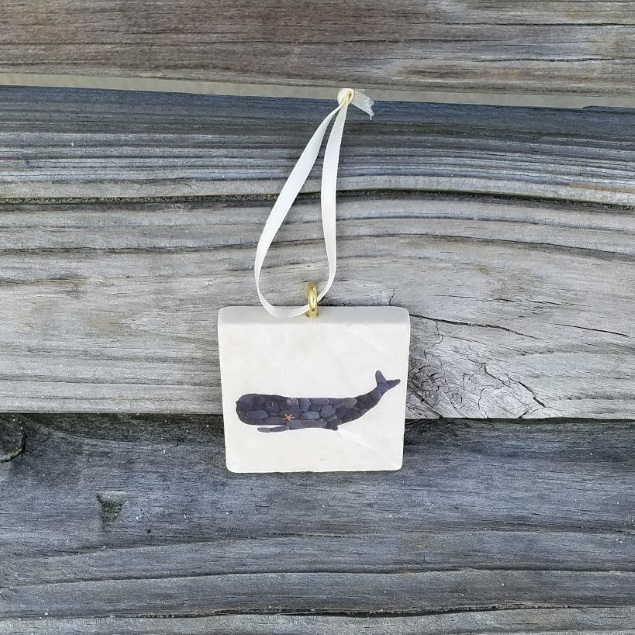 A happy whale for anywhere you wish to hang him!